Flat earthers argue that on a globe earth the days and nights would always be of equal length. This is insanity and a complete lack of understanding of the globe model. 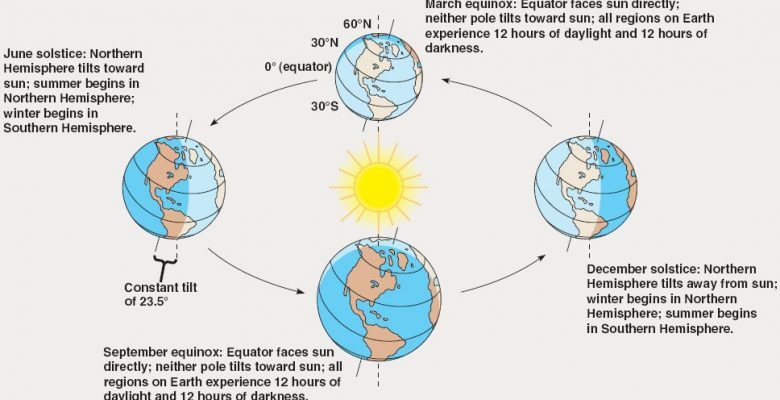 The globe model does a very good job of providing us with a logical explanation of the different lengths of the day and night and the changing of the seasons. This theory may be incorrect and it does seem unlikely that the earth would be a globe spinning on its axis tilted in this way as we do not see any of the other planets acting like this. But you have to admit it is an ingenious system and give credit to the creators of the globe earth model for dreaming it up. Conclusion: This is not proof the earth is flat. It is an attempt to fault the globe earth model but it fails to do that also. It shows the writer does not understand the globe earth model.